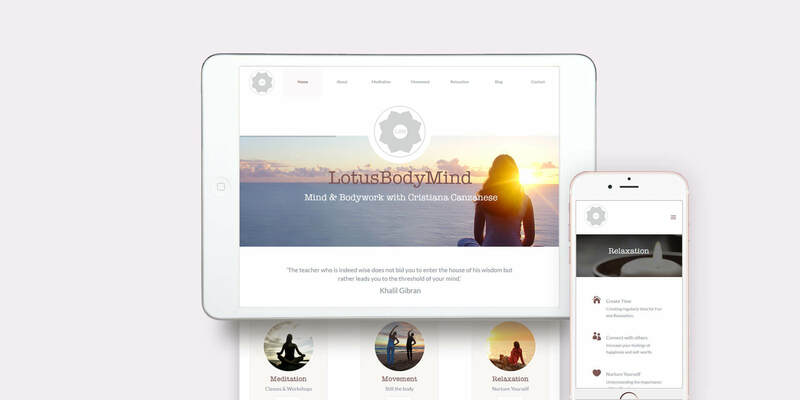 LotusBodyMind – LBM, is an early stage startup focusing on Meditation, Movement and Relaxation. I was approached for this project by the founder of LBM, teacher Cristiana Canzanese. LBM needed some design help to create a fresh brand identity, as well as create her very first public website. Working closely with the founder we followed my creative questionnaire brief. I then started creating UX panels to organize my inspirations and get additional feedback. The approach taken set the foundation of the following: logo design, color palette and typography. Web development was consequently smooth and successful. Photoshop and Sketch3 for wireframing and prototyping. My teaching style focuses very much on understanding the meaning of Meditation, through the exploration of gentle Movement, Relaxation and of course Meditation!